The popular "Got Talent" show brings together the very talented people around the world such as singers with powerful voices and dancers with amazing skills. But this guy takes an un usual talent to the stage! 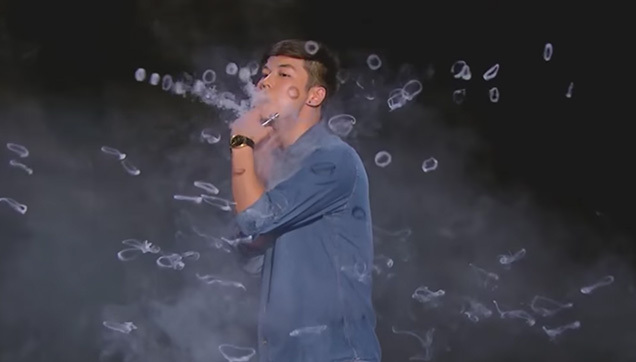 Michael Lee impressed the judges with his super neat bends and amazing jellyfish tricks using smoke! The talent program also creates a central hub for supporters so they will be updated with the other phenomenal performance worldwide. With Michael Lee's super awesome performance using smokes, a lot of comments coming from online users were piling up on Youtube, Facebook and other social media platforms! Some internet people thinks that vaping or doing tricks with smoke is not considered as a talent because is so, drinking and taking drugs will be counted as well. One the other hand, other online users supported the vape artist and one even said that only smoker will understand how hard the tricks are. Most people are just concern on how his lungs will turn on in the future for all those smoke coming in and out of his lungs. According to vapers, the vapor they inhale which has nicotine is far safer than the chemicals in cigarettes. Many has chosen vape as their replacement for a pack of cigarette. This sensation has become a bizarre new sub culture for today's generations. 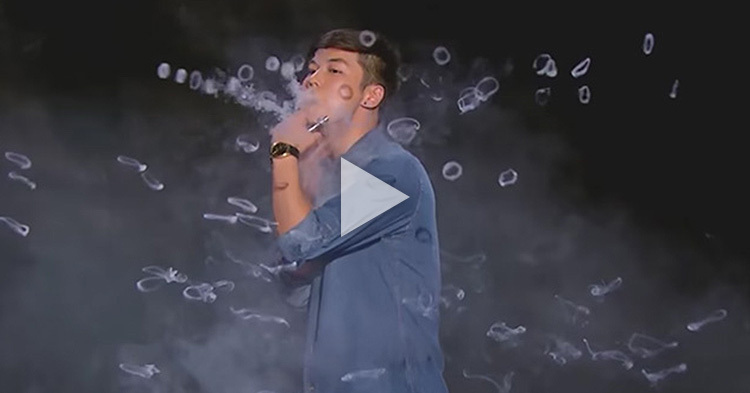 No wonder why Michael Lee's epicly smoking performance gone viral. What do you think about his performance? Please share your opinions below.